eUKHost has been providing reliable and affordable hosting solutions for the past 11 years. Over time, they have grown to be one of the largest web hosting companies in the United Kingdom. The company operates from their headquarters based in Leeds and data centres in Maidenhead and Milton Keynes. To date, eUKHost has more than 35,000 customers and manages more than 150,000 domains. eUKHost have undergone numerous technological advances and improvements to keep up with the ever-changing industry to ensure that they provide the best possible service. 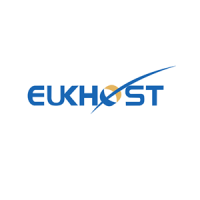 One of the most reputable providers of affordable web hosting in the UK, eUKHost continues to go above and beyond customer satisfaction. eUKHost Ltd .has been in the business of web hosting for the part 11 years. It is one of the first IT companies which introduced economical but effective web hosting solutions in Europe. The company provides services that include Cloud and Shared Hosting; Virtual Private Servers; Reseller Hosting; and, Dedicated Servers. eUKHost Ltd. places emphasis on technical support since it is a vital component in the Internet domain. This web hosting enterprise makes sure that customers can have easy access to their engineers through 24-hour phone lines, live chat and email. This customer-centric approach means that the company’s team of experts will respond to your inquiries or any concerns in configuration promptly. Softaculous combines with cPanel to enable users in installing an array of open source scripts including completely functional web stores instantly. It offers a value-packed and popular hosting solution with impressive features, high-speed and secure servers, several free implements and superior 24/7 customer service. These plans are perfect for entrepreneurs or companies who have small websites and present an online presence that is easy to manage. eUKHost Ltd. boast of the eNlight. It is one of the very first cloud server hosting platforms to provide automated scaling of resources. The platform’s unique design allows calculation of supplementary resources. With these servers, there is no problem regarding resource allocation and server upgrade or downgrade systems. eNlight handles these functions seamlessly and regulates resources in real time without the need to reboot. The normal process upgrades resources on the server. On the other hand, eNlight spares you of the wearisome practice of shutting down and starting up again during component changes in the RAM and Central Processing Unit. The resources are distributed according to the server load. This platform knows when to apportion and eliminate resources in your virtual machine. You can always create virtual machines and get rid of them after operations. End users are assured of continuing data protection. eUKHost Ltd. has forged a collaboration with R1Soft of BBS Technologies (internal computer software firm) for protection of web space and backup mechanism. The data is protected in case of data loss. Files can also be restored without difficulty using the cPanel control panel in just several minutes. There is no need for you to raise a support ticket thereby saving customers a lot of time. Customers can just acquire a shared hosting plan every two years and sign up their domain names free of charge. It is an easy process with least expenses.